Let the journey begin! 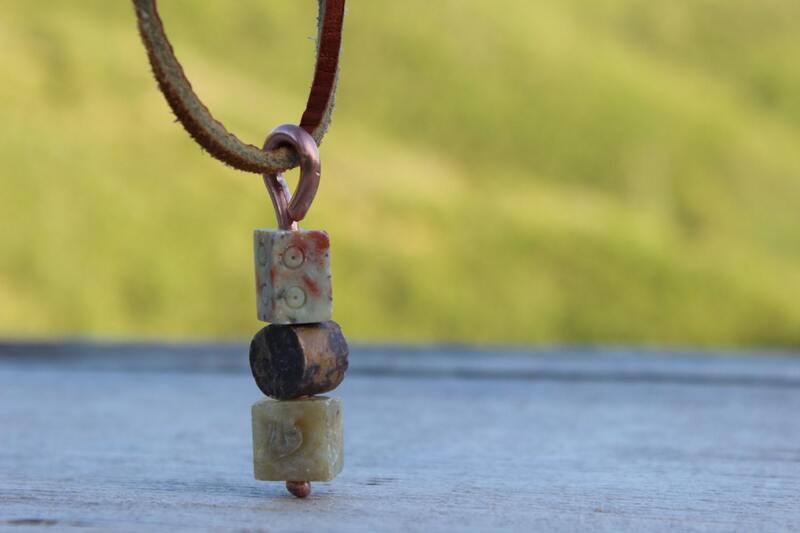 These stones were intricately stacked and represent the balance, flow and path to finding your inner self. As a stack or heap of rocks, cairns have historically been used as landmarks and are found all over the world. 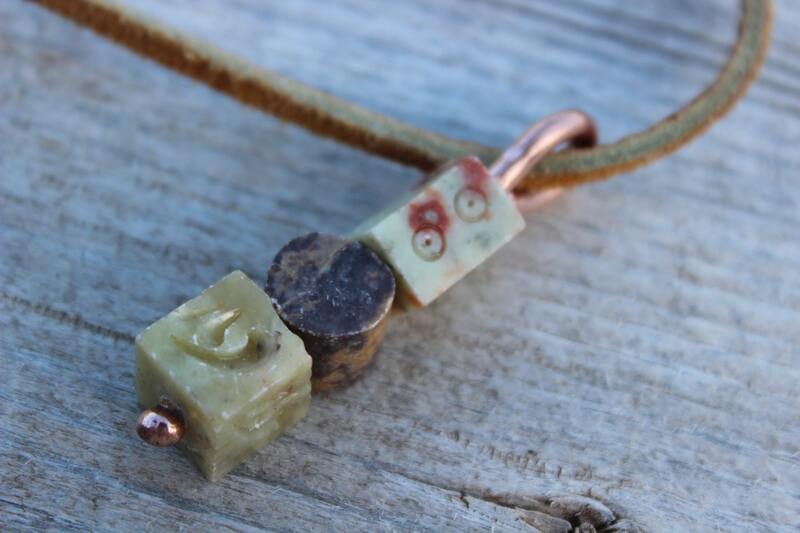 In this piece, a series of natural soapstones or were incorporated to form a cairn pendant. 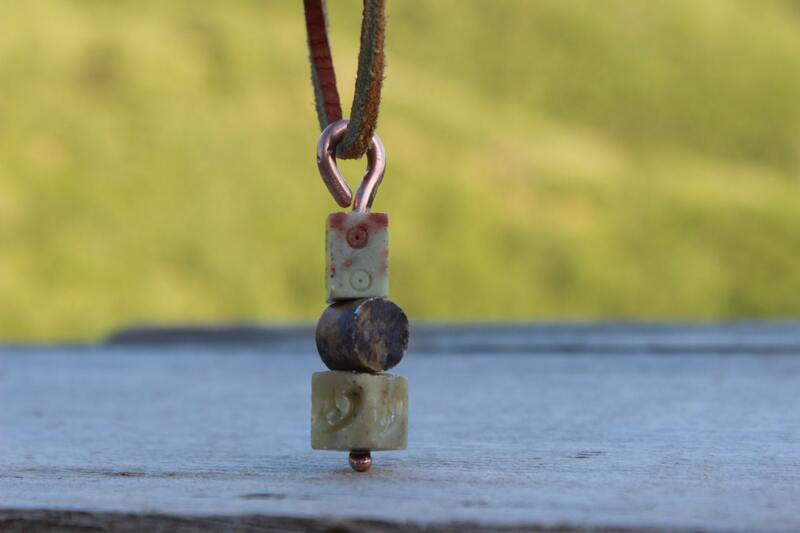 The stones are stacked and balanced on a hand forged copper headpin, which I melt and shape by hand. Soapstone is also known as Steatite and is said to exert a calming influence on the person wearing it. It allows you to give up old patterns and go with the flow by helping to broaden your inspiration and ideas. 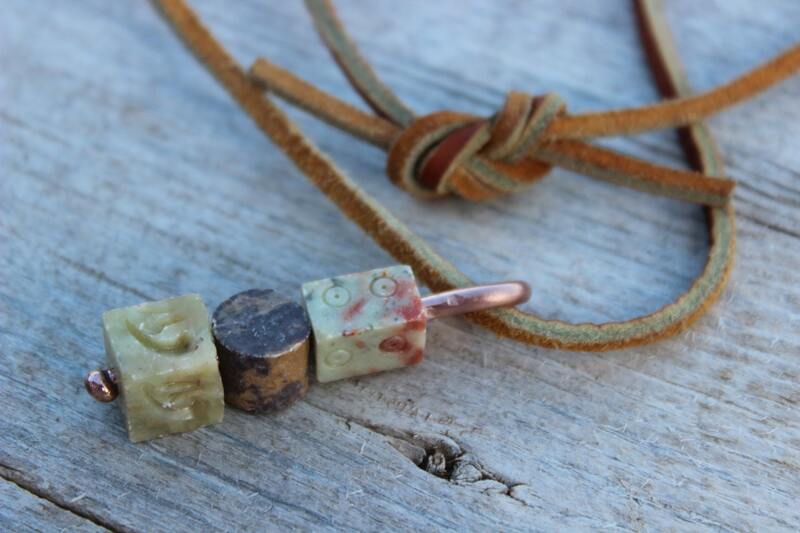 The two ends of the leather cord have been hand tied into an infinity knot. 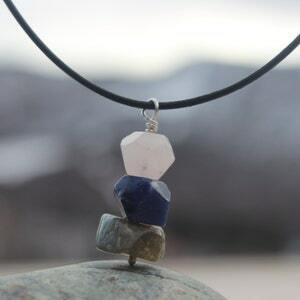 Cairn necklaces make great gifts for hikers, rock climbers and outdoor enthusiasts. 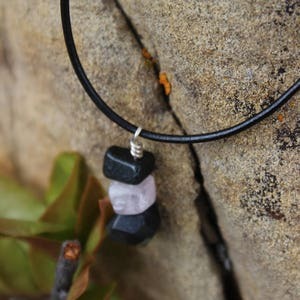 Both men and women can enjoy these unique cairn necklaces! 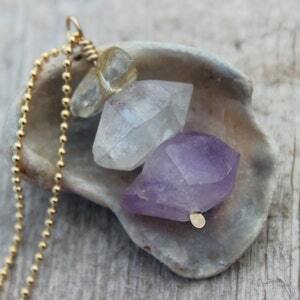 Your pendant is approximately 2" (5 cm) in length. The leather cord is approximately 24" (60.96 cm) long. The two ends have been hand tied into an infinity knot. 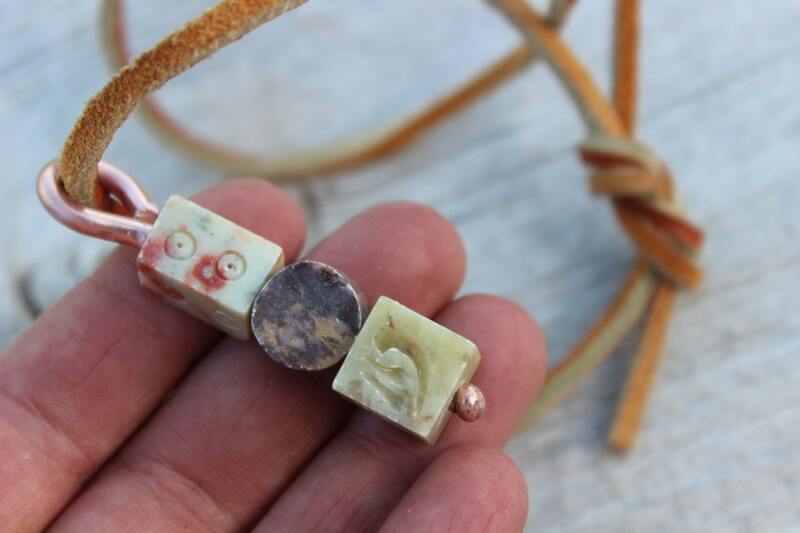 Your necklace will arrive in its own creative gift box adorned by a unique fastener (each fastener is completely different). Perfect for gift giving or to keep for yourself. Let me know if you are sending your order directly to someone as a gift and if you want a personal note included in the package. 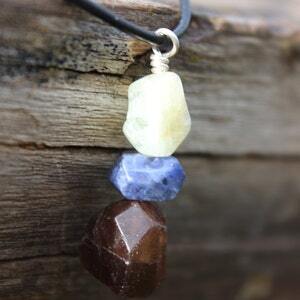 From our home to yours, this piece was handmade to provide balance and a sense of grounding for your spirit. Thank you for looking at MountainUrsusDesigns!